Hunger Games fans, rejoice! 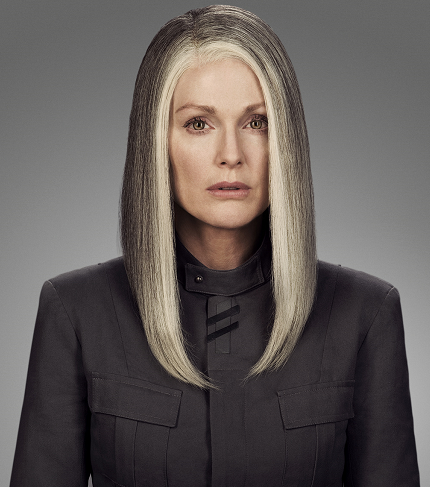 We finally get a sneak peak at what's in store for the third installment, THE HUNGER GAMES: MOCKINGJAY - PART 1. And you're probably thinking...is it possible that the girl is still on fire? Let's hope not. Lionsgate has just given audiences insider access to one of the most highly anticipated films this year. Not only do we have an awesome new motion poster for the film, in theaters November 21st, but we also get to check out the new website, which features President Coin (Julianne Moore) stepping up to the mic. There's also a really interesting video interview with Moore speaking about the film and her character (who's first introduced in this new film). When I heard that Moore was cast as President Coin, I was particularly interested in how she will humanize this somewhat ambiguously written character, who we felt inclined to dislike in the book. In the video, Moore describes her as "sparingly drawn. You don't know who she is because she's only spoken about in Katniss's [Jennifer Lawrence] point of view. Katniss immediately distrusts her in the way that sometimes a young person will distrust an older person who's not familiar to them or in a position of authority....She's not about to risk revealing herself in a fight, when she knows they are better off lying low and letting it blow over." This is very intriguing. 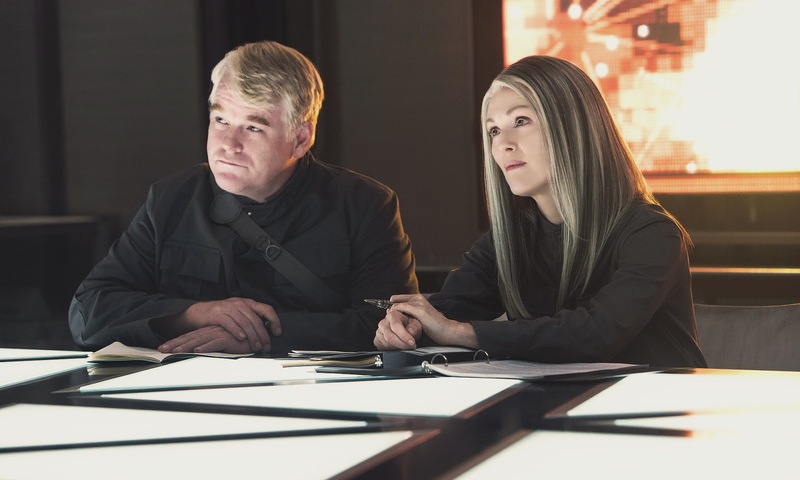 Also on the site is a Q&A with director Francis Lawrence, producer Nina Jacobson, and screenwriter Peter Craig, sample script pages, and images of Julianne Moore and the late great Phillip Seymour Hoffman (who reprises his role as Plutarch Heavensbee from the previous film, Catching Fire). I am so ready for this. Who's with me? THE HUNGER GAMES: MOCKINGJAY - PART 1 is in theaters nationwide on November 21st.